Lock Haven, PA – The Lock Haven Hospital cardiopulmonary department recently acquired new technology to enhance patient care: Cardio Server from Epiphany Cardio. Cardio Server is an award-winning management tool for electrocardiograms (ECGs). The web-based application turns a manual, time consuming task into quick, electronic clicks. In addition to saving the cardiopulmonary department time and valuable resources, Cardio Server has made patient information more accessible. The ECG management ways of the past were very time consuming at Lock Haven Hospital. After each ECG was performed, a technician had to manually print three copies of the ECG on thermal paper. The technician had to then manually place carbon paper between each of the three printed copies. Then the technician had to wait for a physician’s interpretation. The carbon paper allowed the physicians to save time by documenting their interpretations only once per ECG rather than three times, but the carbon often left messy residue and was not the most efficient process. With the implementation of Cardio Server the process can now be completed with a few, clean computer clicks. Once the technician has performed the ECG, the physician can view and interpret the test and then electronically confirm/sign online whether on site or not. The physician is also able to quickly access previous ECG tests for comparison when continuing care on the same patient. 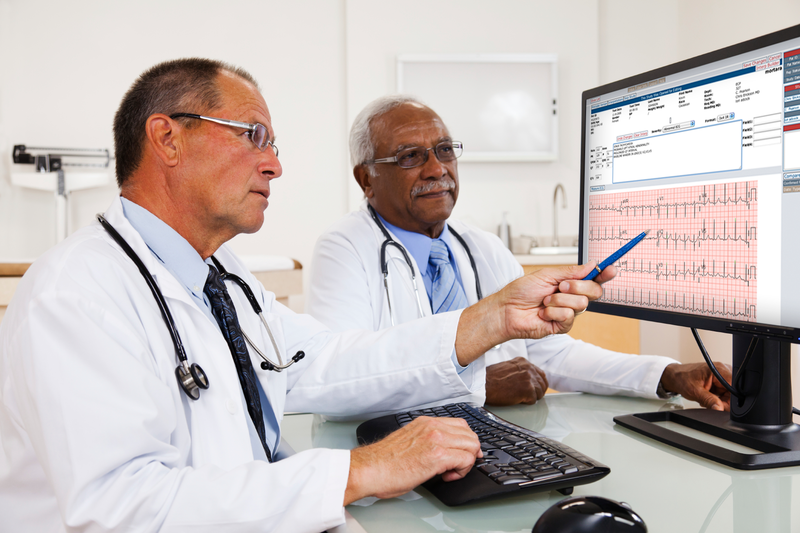 For back-up measures, Cardio Server electronically distributes a paper copy of each ECG to medical records without anyone having to perform an additional click. Lock Haven Hospital is a 47-bed facility with an additional 90 long-term care beds, and is fully accredited by The Joint Commission. With more than 40 medical staff members, specialties include cardiology, otolaryngology, family practice, general surgery, obstetrics/gynecology, internal medicine, pain management, nephrology, ophthalmology, orthopedics and pediatrics. The hospital offers a full range of services including 24-hour emergency care, a birthing center, diagnostic imaging, physical/occupational/speech therapy, outpatient surgery, sleep studies and more. For more information, visit www.lockhavenhospital.com. Founded in 2004, Epiphany simplifies the collection and management of diagnostic test results with its application—Cardio Server. Epiphany's Cardio Server receives, manages, and exports diagnostic test results to all major EMRs. With over 450 hospital customers in the US and abroad, Epiphany is committed to serving its customers’ needs through product innovation, the delivery of exceptional service, and an unwavering dedication to driving open systems. Discover why Epiphany is preferred when managing multi-vendor, multi-modality diagnostic test results.